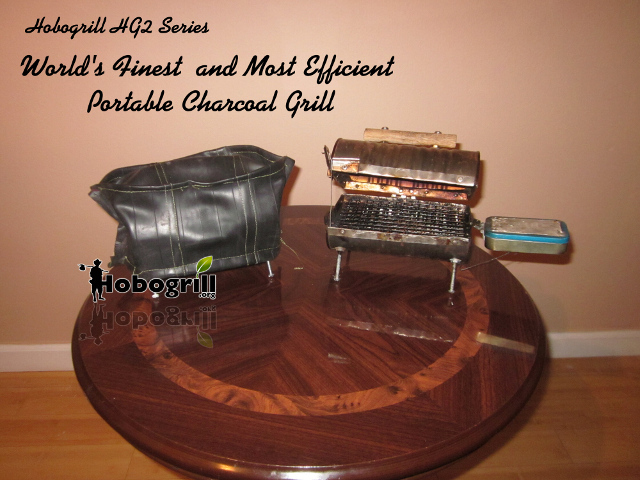 All Hobogrill® grills are handmade with slotted heads vs phillips head machine screws. Considering how much easier it is to work with a phillips screw than it is a slotted screw, you might be asking yourself why bother with a slotted screw? The reasoning is that a slotted head is easier to clean. Obviously, a device used for food preparation should be used easy to clean. One can easily clean a slotted head by rubbing a brush parallel to the groove. This is not the case with a phillips screw. A phillips screw head has deep grooves and it's difficult to clean. Imagine getting some dirt/grit/grime into a phillips head. It would be very difficult, tedious, and time consuming to remove. Indeed it is easier to work with a phillips screw over a slotted screw during assembly. However, a well designed device to be used in conjunction with food preparation should have a slotted screw despite the inconvenience to the manufacturer.